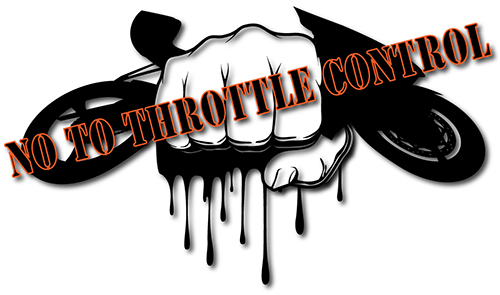 Right To Ride says that you can now support us against the “Throttle Control” of motorcycles on Facebook. As previously reported, “EVSC (Electronic Vehicle Speed Control) is back with a vengeance through the re-introduction of the Intelligent Speed Adaptation (ISA) – or – speed control system in a European Union (EU) Commission funded project called “Saferider”. 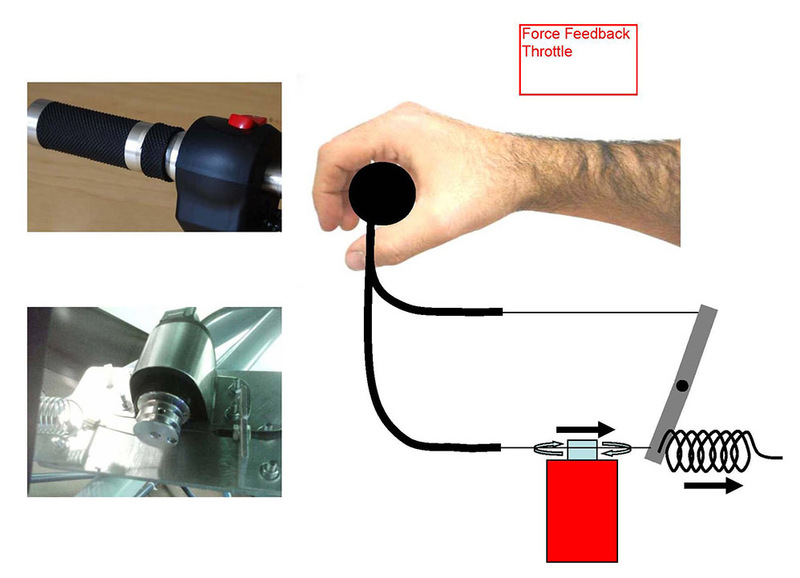 Of the five warning systems being developed in the project, the Force Feedback Throttle is the most dangerous. When the bike enters a lower speed limited zone (e.g. riding from a 40mph limit through to a 30mph limit without slowing down) then the force feedback throttle will warn the rider that the bike is travelling too fast. The throttle reacts by resisting the rider when trying to accelerate. When the correct speed is reached, the throttle returns to full control of the rider. As riders we may not understand all the technicalities of the link between the throttle and the control and stability of the bike, but what we do know is that the balance of riding, accelerating, braking and cornering on a motorcycle requires full control of the motorcycle without interference with the throttle. 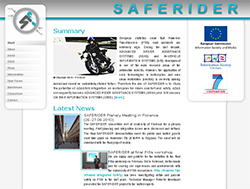 We have written directly and presented a paper to the EU Commission Project Officer and Directors of the SAFERIDER project, setting out the reasons why we consider the Force Feedback Throttle dangerous. Our argument in this paper is that any interference with the throttle will de-stabilize the motorcycle and place the rider in a precarious situation. We set out our reasons in detail why the development of this device – the force feedback throttle – must be stopped immediately and withdrawn from the SAFERIDER project. The “Saferider” project has a myriad of partners which includes the Federation of European Motorcyclists Associations (FEMA), made up of 25 rider organizations across Europe, including the the BMF (British Motorcyclists Federation) and MAG (Motorcycle Action Group UK) from the UK. The purpose of FEMA’s involvement in the project was to ensure that any device developed in the project would not take control away from the rider and this was made clear at the SAFERIDER User Forum by the former FEMA President Hans Petter Strifeldt in 2008. We have been writing to these organisations over the last three months regarding this fundamental issue of rider control and have not received any positive feedback on what they intend to do to stop the development of this system. FEMA reported in January/February that it has been active on the deployment of ITS in Europe, notably through its involvement in ITS-related research projects such as SAFERIDER and the European eSafety Forum platform to issue positive recommendations where motorcyclists are taken into account in the development, deployment and management of intelligent applications. Intelligent Speed Adaptation systems have been tested by thousands of motorists. In an early issue of this newsletter we reported on driving around Brussels in an adapted Volvo car. Exceed the limit and the pedal became harder to operate – but still possible to over ride. The application of such systems directly to powered two wheelers is not a good idea. This is discussed in the ETSC report – Vulnerable Riders – Safety implications of motorcycling in the European Union – pdf 147kb. Any project team can research as they wish, but we are disappointed to hear that this team is continuing with a basic ISA system, which simply replicates what works with a car. Rider training experts at the start of the project gave advice on the complexities of this issue to the Saferider team. On a PTW throttle opening also affects the suspension settings. If you want more details just ask and we will reply but there is not space here to go into all the issues. At Right To Ride we have to ask, where is the fight for the safety of riders? When will its best weapon of plain common sense be deployed? Urgency is required, because the SAFERIDER project ends in November when the final review will be presented to the EU Commission, when the deliverables (results) of the project, including the force feedback throttle will be seeking the EU Commission’s approval and support. We have written to the Saferider project – first in August 2020 and a second letter in September 2010 – we are still waiting for a response. As we say, “Don’t Expect Us To Be Quiet”.